Chris is an Outside Salesman for Cougar USA. 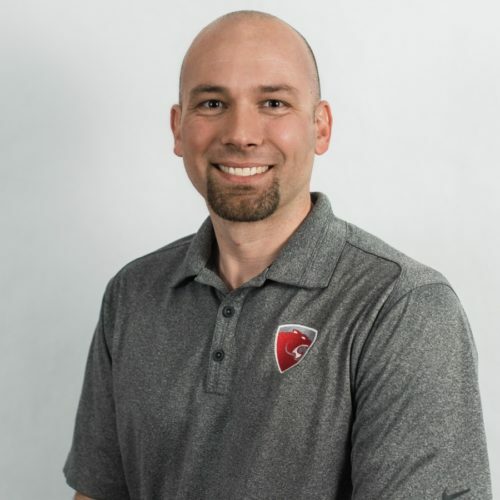 He has been in the industry since June of 2001 when he met the founders of Cougar USA, Mike Zacharias and Scott Magee, and he became one of the first employees of Cougar when Mike and Scott began the company in 2002. He has continued to learn and grow at Cougar by taking on additional roles and responsibilities, most recently by managing our Control Panel shop. Chris is very hands-on and enjoys working with our customers and manufacturer reps on all of the technical aspects associated with the commercial market that Cougar serves. Chris is a native Houstonian who is married with two children. His favorite hobbies — other than spending time with his family — are motorcycles, classic Mustangs and woodworking.